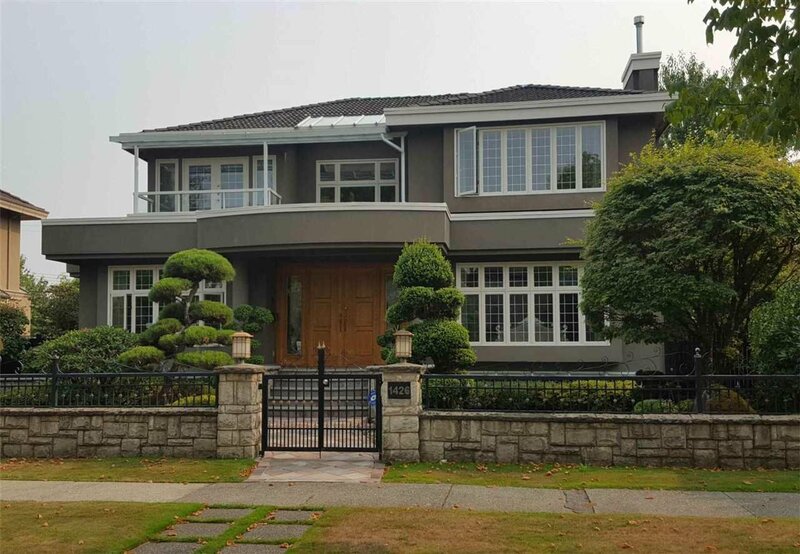 GORGEOUS MANSION IN MOST PRESTIGIOUS SOUTH GRANVILLE LOCATION ! BEAUTIFUL UPDATED TO IT'S HIGHLEST STANDARD, QUALITY CUSTOM BUILT HOME BY EUROPEAN BUILDER. ALMOST LIKE EXTREMELY WELL KEPT, over 5,380 sq.ft. of luxurious living area, sits on a PROFESSIONAL LANDSCAPED BIG LEVEL LOT 75 x 122.62 ( 9,196.5 sq.ft.). Features Grand Foyer with high ceiling opening onto spacious living & dining rm, extensive used hardwood floor & granite thru-out, 6 generous bdrm & den, 4.5 baths. Large open gourmet kitchen with high-end kitchen cabinetry & top o line appliances. Radiant flr heating system, HOT TUB, SAUNA. SECURED FENCE YARD WITH PARK-LIKE GARDEN. CLOSE TO MAGEE & ERIC HAMBER HIGH SCHL, OSLER ELEM, CROFTON, YORK HOUSE & ST. GEORGE'S PRIVATE SCHL, UBC, RICHMOND, SHOPPING,BUS. DON'T MISS, MUST SEE !